Research is bringing into focus the importance of reducing the amount of methane in the atmosphere. Methane (CH4) is a short-lived but very strong greenhouse gas – 80 times stronger than carbon dioxide when it is initially emitted. Carbon dioxide remains in the atmosphere for long time, so it affects how warm the planet gets, while the quantity of the more powerful methane controls how fast that warming happens. Methane is responsible for 25% of current warming. Methane is the main component of natural gas. Globally, the oil and gas sector is the largest industrial source of methane. In Canada, nearly $550 million worth of methane leaked from oil and gas operations, enough gas to heat every household in Montréal for a year. Inexpensive, proven technologies exist to reduce methane emissions, but regulations requiring industry to act vary widely. 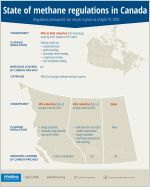 Alberta’s Climate Leadership Plan set a target to reduce oil and gas methane emissions by 45% by 2025. The Federal government and British Columbia have followed suit. Mexico, Canada and the U.S. are three of the world’s largest oil and gas producing nations and represent nearly 20% of global oil and gas methane pollution. In 2016, the three countries jointly agreed to reduce their methane emissions by 45% by 2025. 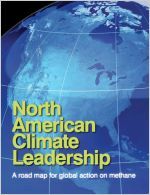 Furthermore, 19 nations in the UN-sponsored Climate and Clean Air Coalition (CCAC) recognized methane reductions as “the next big climate opportunity” and agreed to implement policies to minimize emissions of this powerful pollutant from their oil and gas sectors in November 2016. However, in the U.S. the Trump administration is calling U.S. commitment to reducing or federally regulating methane emissions into serious question. It is clear reducing methane through regulations would be highly cost effective. They demonstrate a real commitment to reducing Canada’s oil and gas sector's contribution to climate change and improve the sector's efficiency conserving an important energy resource. 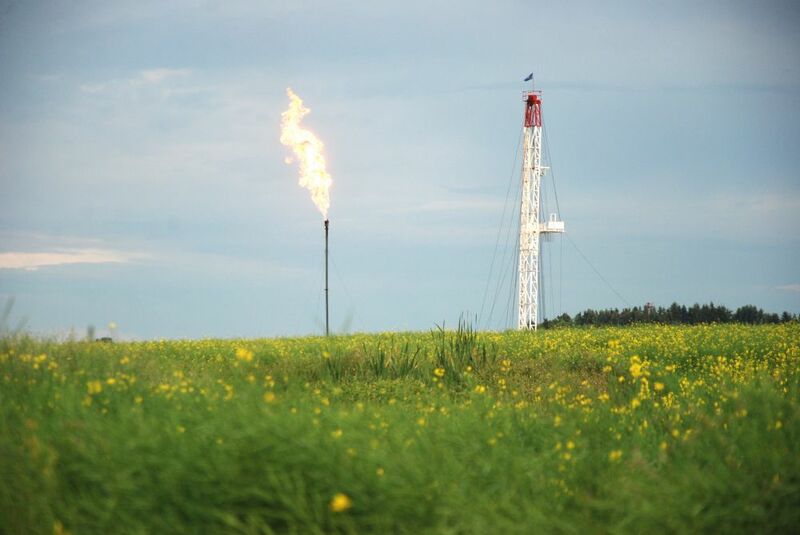 The proposed regulations are the only place in the national climate plan where oil and gas methane emissions are addressed, so it is crucial that we get them right. Actual emissions from Alberta’s oil and gas sector are significantly higher than industry reported, and cheap mitigation technologies to control leaks are not being deployed. 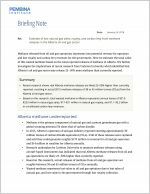 Estimate of lost natural gas sales, royalty, and carbon levy from methane releases in the Alberta oil and gas sector. 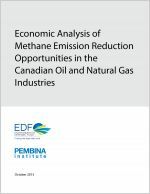 This report, commissioned by Environmental Defense Fund and released in partnership with the Pembina Institute, looks at the growth of methane emissions from Canada’s oil and gas industry and points to the most cost-effective approaches to reduce methane emissions.